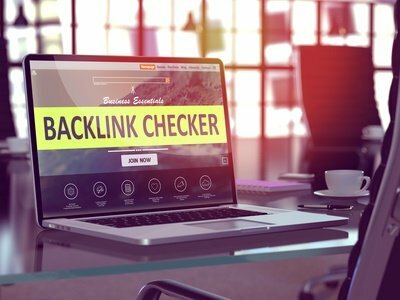 A great deal of information is available on backlink checking and analysis tools and what steps you need to take to improve link profile and provide a boost to your search engine rankings. In this article, we will discuss about the top 10 backlink analysis tools which will help you to better understand your link profile. This is one of the favorite tools that most online marketing professionals put to use for tracking their backlinks and keywords. In addition, the tool provides you with inside look information as what your competitors are doing. The key feature of Ahrefs is the quality of data that this backlink checker makes available to you. You can always be sure that the information provided by Ahrefs is accurate. In addition, the backlink checker and analyzing tool provides the most current data. As the company offers a free trial for 14 days, you can try out this tool and find out if this is the right one for you. SEMrush is packed with great features and is actually a one-stop shop for SEO as far as bloggers are concerned. This SEO tool allows you to do keyword research, check backlinks, track keyword ranking and check competitor ranks. It can also be employed for doing a complete SEO audit of your blog. SEMrush is developed by SEOQuake, which is Firefox’s popular SEO addon. As many as 1 million people are making use of this tool for various SEO purposes. The company offers a free trial for 14 days and, therefore, it makes sense to try the tool out and see if it will be suitable for meeting your SEO needs. If you have ever tried to manually do a backlink check, then you would have realized that it is a time consuming process and that it is easy to keep up. Linkody is a backlink checker that automates the whole process for you. This is the main reason as to why the popularity of Likody is growing by the day. Providing notifications when you gain/lose links. Ability to pinpoint and disavow spam links. Providing inside look as to what your competitors are up to. As your link profile keeps changing, this tool provides you with vital information that you need to stay on top. Another aspect to be kept in mind is that this link checker tool allows you to implement daily email notifications. Majestic SEO offers a lot of features to those that are interested in reviewing their backlink profile. It is easy to get started with Majestic SEO. All that you have to do is enter the URL of your website into the search box. This SEO tool will provide you with an analysis of the total number of external backlinks and referring domains, IPs and subnets, which will be of help understanding the status your link profile in a better fashion. This SEO backlink checker will also provide a backlink history chart, which will give you a clear idea as to whether you are gaining ground or losing steam as far as your link building efforts are concerned. In addition, Majestic SEO provides you with a review of the anchor text in a chart form. You can gain access to more features if you sign up with Majestic SEO. However, a free search provides you with a fair idea of your website’s link profile. In online marketing, nothing is more important than the link profile of your website. This backlink checker does not only allow you to understand your website’s bad links, but also gives you an idea of the competitor’s good links. This is to say that this tool helps you to understand as to what your competition is doing. One of the key aspects of this free backlink checker is that it can be connected to your Google Analytics account. The advantage is you receive email alerts as and when you lose/gain a backlink. Both losing and gaining are important as far as your link profile is concerned. Additionally, you can set up alerts to understand as to how your competitors are doing with respect to link building. When a blogger is reviewing your product/service. When you are acquiring a valuable backlink. When your competitors are involving in link building efforts. Identify as to which links are holding back your website. Identify best opportunities for link building. One of the best aspects about the Open Site Explorer is speed. It does not have anything to do either with quality or data depth, but it is all about convenience. This is to say that you receive the results within seconds when running a search. The Open Site Explorer goes beyond just providing an overview of the link profile. In addition to providing a list showing each link, you can review information such as link URL, anchor text, spam score, PA and DA. All backlinks that are pointing towards your site or competitors’ site. When you support for link building, this tool can be used to run an exhaustive link quality analysis. As it checks links against 50 plus quality factors, you gain a thorough understanding of the impact of each on your site’s search engine rankings. The top feature offered by this tool is the ability to integrate it with data from as many as 24 link backends. This ensures that you are always getting the best possible backlink check that is available. Another important aspect about LinkResearchTool is that it provides a comprehensive backlink profile view. This is because this backlink checker analyzes every link using 97 unique metrics. What is even better is that the filters and metrics of this tool can be customized to meet your specific needs. The filters you can customize include power, buzz, contact data, trust and impact, among many others. The backlink checker Kerboo comes with a number of tools that you can put to use. It is the Monitor tool that Kerboo offers will enable you to better understand your website’s link profile. You will have to actually run a search and review the results in order to fully appreciate as to what this webmaster tool can do for you. The coolest feature of Kerboo is its ability to create a links list that you consider is very important for you, meaning the links you are interested in keeping irrespective of what it takes. If this feature is enabled, this backlink checker tool will automatically check the links on a daily basis. Kerboo will then notify if the link is taken down for some reason or no-followed consecutively for three days, giving you an opportunity to find out why. Kerboo also helps you to keep the bad links out of your link profile and ensures that they don’t reappear later on. Further, Kerboo can be used in many ways. It is, therefore, important that you are familiar with its features. cognitiveSEO offers several Internet marketing tools, including one for backlink analysis. This tool may not be very popular, but is as powerful as other tools. You can make use of the alert system provided by cognitiveSEO to set up triggers and notifications as regards your site or the competitors. When you enable this feature, the data is delivered to your inbox directly. This way you can save a great deal of time. To get an inside view of your website’s link profile, you need to learn about the site explorer and instant backlink checker. This is a simpler way to view the backlinks to your website. It also includes real-time data, growth trends and historical information, among others. The best thing about this backlink checker is the way it presents the information. You can clearly identify information such as link velocity, NoFollow vs. DoFollow, and breakdown of each link with link and domain influence. In conclusion, SEO is not a very complicated process. You just have to do few thinks, including maintaining a healthy link profile. To get closer to your marketing goals, you just have to make good use of these link checker tools.